When it comes to home improvement, one of the smartest places to look to are the unused corners—in the garden or in the home. The corner – that unique little space (whether in the house or outside) that presents such a problem for us when it comes to decor. An uncomfortable surface that seemingly throws all our creative concepts out the window when encountered, as numerous people deem the corner a difficult concept. A lot of us just ignore the corner, while some of us try to cover it up with items such as a side table or a pot plant. However, it’s not long before the furniture is moved around (change is as good as a holiday, as we all know), and that tricky corner once again surfaces and presents us with a dilemma. Fear not, design- and decor lovers! We come bearing exquisite tips on how to solve this little nuisance, from furniture choices to whole new areas that help hide that tricky angle. If you have that difficult little space in your house that bathes in a fresh dose of natural lighting, why not consider an indoor garden area? No, you don’t need hectares of ground and grass to make a garden – it’s much easier than you think. First, check that your problem area has enough light and ventilation for the plants to survive. Then, start checking off the plants that are made to flourish inside the house. Be sure to do research on this (either by Googling or asking the friendly helper at your local nursery). 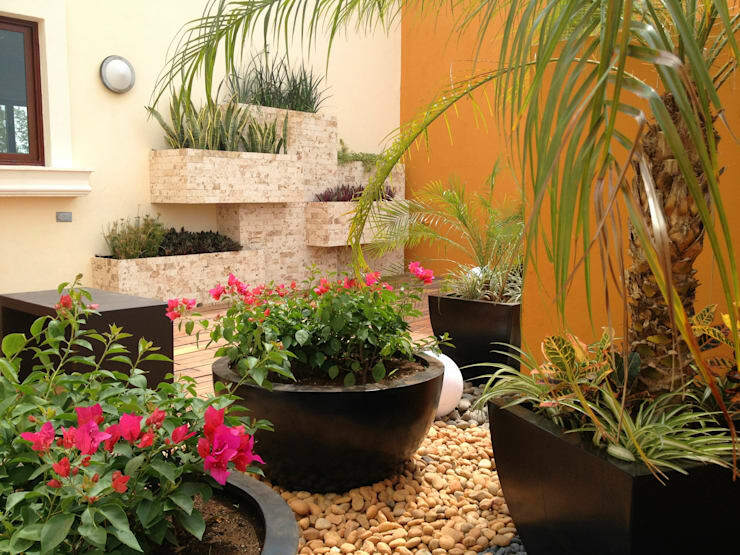 Indoor plants differ significantly from outdoor ones in the amount of water they require, how much (or little) sunlight they need, and so forth. Finally, decorate your problem area with some stunning plant pots for your new greens and flora. Last, but not least, enjoy saying goodbye to your eyesore corner and hello to your new garden spot. Why decorate your corner with some beautiful elements when you can actually make practical use out of it? A lot of us know the trouble of not having enough storage space on our bookshelves for our books and magazines. So, why not use that corner space to implement a small, informal office area? You do not need an entire free room and numerous cabinets to make up a home office. Some shelves against the wall, a petite yet cute little desk (consider adding a desktop/laptop to make it look really professional), inject some colour and décor for effect, et viola! 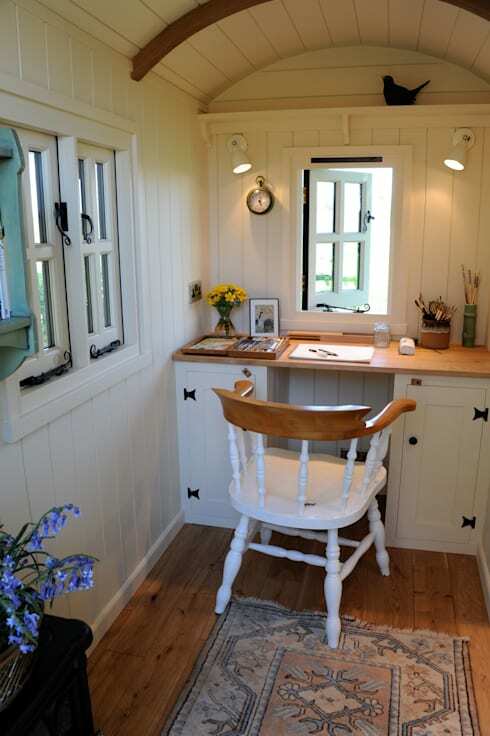 From a tiny work space to full-blown home offices, see homify’s broad collection of ideas for your study/home office. Should you possess a corner window in your house, consider yourself extremely blessed. This gives you a golden opportunity to implement an additional seating area (especially if you’re not sure what to do with that weird, unused floor space). 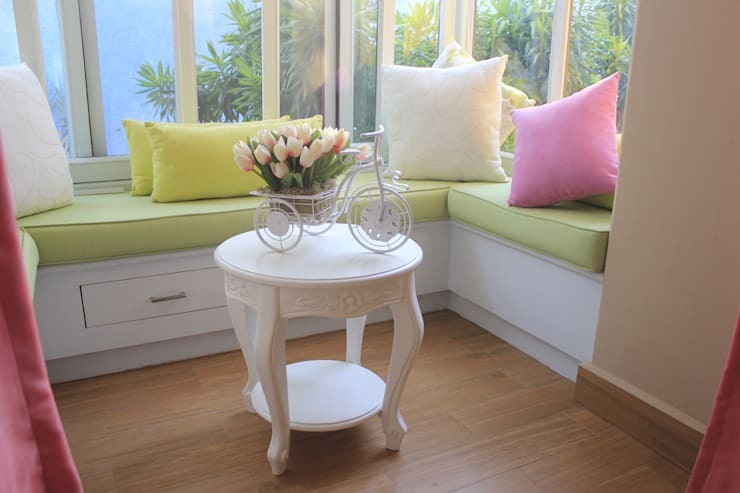 Adding some benches (complete with drawers, as shown in our example) will make a world of difference to that corner—especially after you’ve decorated it with some colourful pillows to make your new gossip corner stand out even more. The drawers will ensure that you have some additional options for storage, such as family albums, shoes, books, etc. Should you not be able to add an entire bench to the area, two comfortable chairs will work equally well. Just make sure their colours and patterns are complementary to the area (such as the walls, window treatment, etc.). 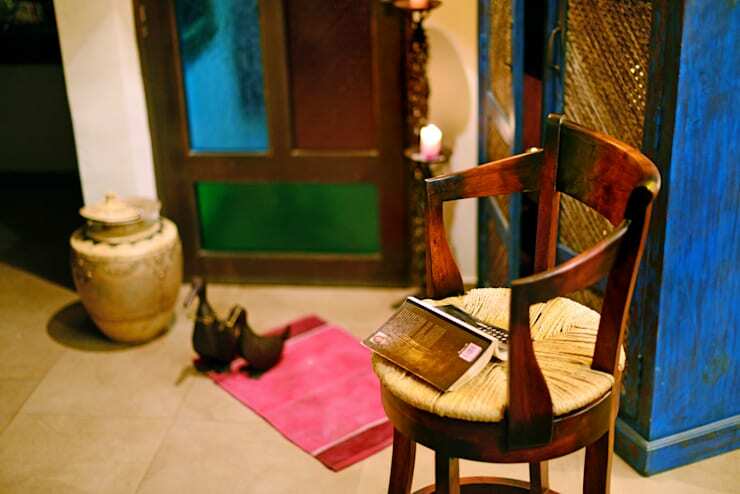 And be sure to add a small side table to make it look really comfy and inviting! The sweet sensation of getting lost in a good novel. Unfortunately, a lot of us tend to get lost in dreams the minute we lay down on our beds at night to indulge in some bedtime reading. This makes finishing that one simple book an unnecessarily long process. Well, start stocking up on the bestsellers, because that unused corner space has just been transformed into a reading nook. And it’s so easy to make one. The basics of a reading nook are a comfy chair and sufficient lighting (a good table lamp on a nice side table will make it extra special). However, should you have enough space, you can add a bookcase (or some book shelves), as well as decor such as flowers or wall art. We all know the pain of clutter, and how quickly it can accumulate. It starts off small, usually with some junk mail that we’ll throw away later. Add to that a magazine or two, the kids’ school reports, invoices from the vet, insurance forms that you still need to check, and before you know it you’re not able to see your unused corner space! Although we can’t help you get rid of your hoarding habit, we can help you to hide its ugly results. Although the home office/study is the ideal space to store all these documents, not all of us have a home office. So, opt to turn your unused corner area into your storage area. All it takes is some drawers or some cabinets to turn that space into a mini office, where all the junk and more important documents can be hidden away from sight. Clutter, be gone! We show you: Really Clever Storage Solutions For Small Homes. Doing laundry is definitely not on everybody’s favourite lists. 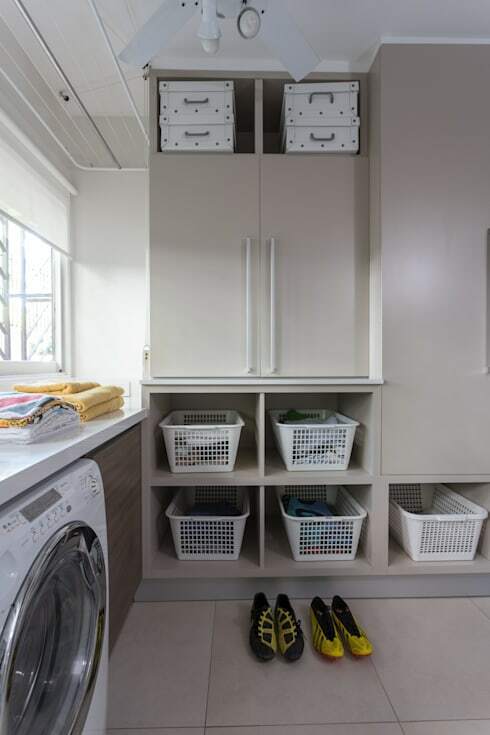 However, enhancing your laundry room to make it look neat and effective can severely minimise the hassles that go with doing laundry. But a laundry room is seldom more than a washing machine and small cupboard for the cleaning supplies. That leaves an empty space which is sure to become an eyesore. Consider turning your unused corner space in the laundry area into a closet. This will go a long way in minimising the mess and clutter that is so synonymous with laundry day. See the perfect storage space that architects Gutman+Lehrer have created in our example above. Compartments with baskets to separate the different colours/loads, a hanging space in the closet for work attire that needs to be ironed ASAP, storage space for washing- and cleaning products, etc. You’ll be asking yourself how you ever functioned without it! Are there any other ideas you can think of for those tricky corner areas? Share with us!